Dorothy Stickney was born in Dickinson, the daughter of pioneers in the city. Near-blindness during childhood kept her from participating in many activities while she was growing up, and her imagination was fostered as she spent many days in a darkened room. During this period she always fantasized that she acted the roles of the characters in the books her parents read to her. The New York theatre beckoned her, and she became one of its bright stars. For five years she was the incomparable Vinnie, in Life With Father, playing opposite her husband, Howard Lindsay, who collaborated with Russell Crouse in turning the Clarence Day book into the memorable stage play. This became the longest running non-musical in Broadway history, with 3,213 performances, and was presented from November 8, 1939 to July 12, 1947. The money to finance the First National Bank in Dickinson, and was paid back within a year. Her career began with performances in vaudeville, and extended to include movies and television. She played on Broadway with such notables as Mary Martin, Charles Boyer, Jessica Tandy and Hume Cronyn. An admirer of Edna St. Vincent Millay, she wrote and starred in the one-woman show, A Lovelv Light, the dramatization of Millay's letters and poems. She received honorary degrees from Bowdoin College in Maine and from Dickinson State College. 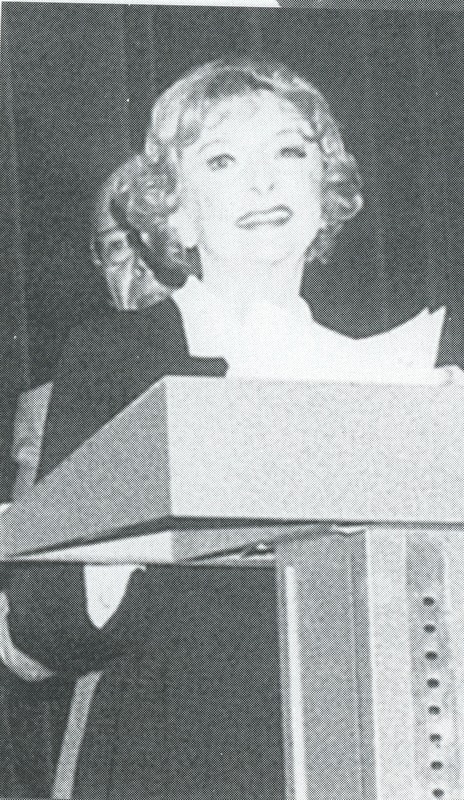 In 1963, she was honored with the Theodore Roosevelt Rough Rider Award, presented by former governor William L. Guy. She was the second North Dakotan to receive the award. Her portrait hangs in the North Dakota Hall of Fame in the Capitol Building in Bismarck. On October 20, 1976, the auditorium in May Hall was named Dorothy Stickney Auditorium in her honor, and she presented her one-woman show. When she died in New York in 1999, at the age of 101, she left a bequest to the University, which now benefits students pursuing a degree in theatre arts. Scholarships in her name are presented every year. “Dorothy Stickney ,” Dickinson State University Archive, accessed April 21, 2019, http://www.dsuarchive.com/items/show/34.